The name says it all; our Work to Weekend original denim provide a longer rise with a little more room, while still delivering versatile style seven days a week. 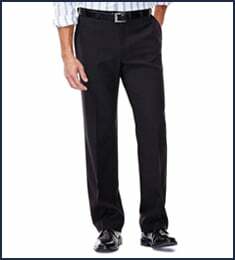 This no-iron cotton pant can go from polished and professional to comfortably casual without a wrinkle. With easy care and a hidden expandable waistband, it&apos;s no wonder it&apos;s America&apos;s favorite. Work to Weekend® Original Denim is rated 4.3 out of 5 by 22. Rated 5 out of 5 by hd2please from These pleated do fitfit I have for years purchased 38 x 29 w2w pants and i like them. I have been having trouble w fit on recent purchases. Had to go to 40x29. these are big but do fit. I tried these pleated in a 38x29 and they do fit. I am old and have gained weight but all my older 38x29 flat front w2w do fit. I like the pockets on these denim, they do not tear up my hands. my dog likes them because I carry treats. Rated 4 out of 5 by Scamp from Nice pants! Been happy with Hagger for many years. 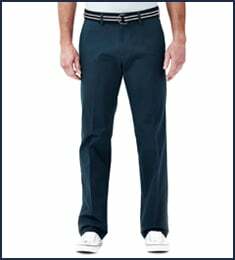 I have always been happy with Hagger slacks. Had one small issue. The button holes are to small for the buttons to easily go though. Had to alter. Rated 5 out of 5 by Jack39 from Great value at a fair price. This is the only jean that I buy and that is true for the past several years. 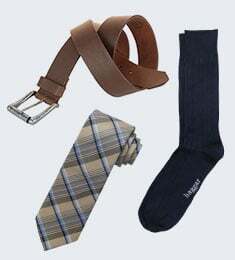 They are top quality and comfortable. Rated 5 out of 5 by Jamsbull from Great product Delivered on time, well made product. Would buy again. 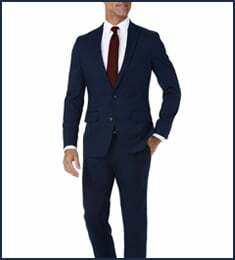 Rated 5 out of 5 by Dee Jr from Wonderful pants I have wore and still wearing Haggar pants, they are great and very comfortable .